Ladies and gentlemen, the RCExplorer webshop is now open! I’m glad to announce that the Tricopter V3 kit as well as all parts for the tricopter are available for purchase. The first 200 Tricopter kit orders will receive the limited edition signed version of the tricopter frame. Again thank you guys for all the support. It means a lot to me. I hope you will enjoy flying the tricopter as much as I have through these years. Happy !! I just placed an order for my V3 kit and some accessories, head for France !! Just placed my order. Excited like a little girl! This is going to be aaawsome! Another kit to germany! Under the first 200 i hope! Thx David for a great product and a very good and easy to use shop!! 4 stycken set beställda till nordligaste norrland! Kul, nästan grannar då om du bor i Kalix, är bara ett stenkast bort i Haparanda, fd Kalixbo. Något bra/roligt ställe i Kalix Ni brukar flyga som kan rekomenderas? Kul med folk härifrån som också håller på med multirotors! Jag har inte flygit så mycket än faktiskt, har provat lite med en kollegas phantom, men snart så! Om du är på Google+ så finns ett comunity “Multirotors Sweden som du kan joina! I’m in!!! A V3 will be flying toward me in the USA. Thanks for all that you have done, and you can count on my continuing support! This is aaaaawesome! A v3 (I hope I managed to squeeze in before the 200 mark) plus some accessories on order for southern parts of Sweden. Thank you, David, for everything you have contributed! BTW, when you released the pics of the v3 a month ago, I showed them to my coworkers, that are not into the hobby (yet). And they thought it looked so good, they wanted to have one on the desk just because of the looks! Creds to you, David! just got mine, how many have sold Dade? Ordered 🙂 I’ve been checking every morning and every night for about a month and finally I could order. Thank you David! Great seeing you on YouTube again. Having met David at HK a few weeks ago, such a lovely guy, it is great to see so much support. I ordered the V3, but I have a Corona DS-929MG 12.5g Digital for me, it’s okay on the Yaw? Do you think about making bitcoin payments possible? 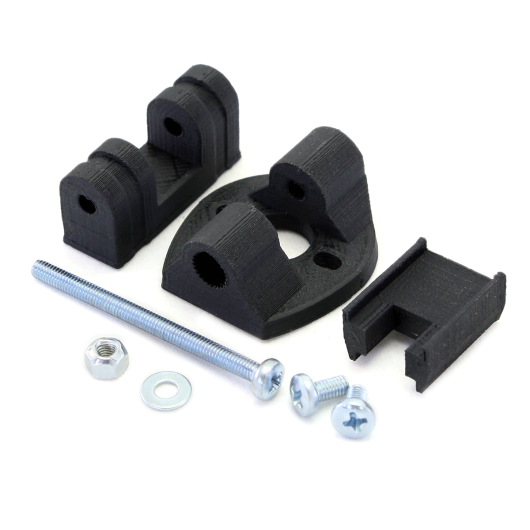 What is the best prop rotation for the Tricopter-v3-kit? Front & Back please . In my opinion !! David has a lot of work all week !! I do not think it will go through here, with all the order was prepared !! Like some others was watching the site like a hawk, then suddenly.. proceed to check out. Ordered one too) Really appreciate your work! I have a question though. Is using zip ties to mount motors to the booms inappropriate on this particular build? Just want to make sure that crashes will cause minimum damage to motors and booms itself. Wich method would you recommend? David, pretty sure you mentioned a video on kk2 setup for thias tricopter in your build video but can’t find the link anywhere. Are you able to help please? It’s not out yet. Still need to finish it. Will post the link as soon as it’s done. Thanks David. Keep up the great work. Can’t wait to get started on my new tricopter. Order placed to Canada! I might have a vintage Jakub/quadframe tricopter up for sale soon….. Maybe I will turn it into a mini instead. Oh yes, I was having trouble with the shop not putting the items in my cart but I registered on the site and all was good. Just place an order to my university dorm! I really hope i made it before 20. college life ain’t stopping me from getting some fpv action going! How to know if the order of v3 is in the top 200. ??? Hi David. you have no film of flying v3, you can heal out on this page? Hi David, just ordered a V3, been wanting to build a tri based on your design for a long time. Great build video, looks like an awesome product. It there no information on sending the order and a tracking number. Your package went out yesterday. Did you get the an email with the tracking number? Thanks for your inspirational work, I would never be flying a tri if it was not for you. I know you are up over your head with work these days, but I allow me to ask for an improvement to your webshop. It would be really nice to have a page showing our orders and the status of the orders. I hope my V3 is on the way to Norway pretty soon. Great work David! As soon as people start to receive their kits, there is going to be a tremendous demand for instructional videos, questions about nearly every aspect of building and modifying the frame etc. Have you considered a forum feature for your site? Also, for every $95 kit you sell, you are potentially sending $160+ worth of business towards Hobbyking etc. Have you considered sort of a coupon code that allows you to benefit from the business you are sending towards Hobbyking etc? Maybe even a “kit” (wishlist/buddycode kind of thing?) where your customers can get a small discount and at the same time safeguard that the items you recommend are in stock at Hobbyking? I can see that I have to order 5-6 items from the international warehouse, the rest can be ordered from the EU warehouse, but some are in backorder? Hmmm haven’t really considered a forum until now… Might have to sort something out as soon as I’ve got all these orders out. I decided to do an electronics check whilst waiting for my V3 kit from you, and I have a couple of questions..
One of my esc’s (Afro 20A) seems to spin the motor as soon as I arm the fc, and spins at a constant rate, neither throttle nor gyro has any effect. I have swapped the esc’s, motors and output channels so am sure it’s the esc. Q: Is there anything worth checking under the shrink wrap or with the firmware, or is it likely to be just a dud, and need exchanging? Also, I ordered your suggested 4s setup, the spacers that came with the props are not a good fit with the HK aluminium prop shafts. One pair have ~1mm gap, and the others are too tight to go over the non-threaded section of the shaft. Q1: What should I do? Redrill the plastic (could be tricky), sand the shaft, heat the spacer (? will this work), force the spacer on by tightening the prop down, use the loose ones (eeek!). Q2: The aluminium prop shafts came with a sloped spacer, does this go on first to cover the hex scre holes, or above the prop? Many thanks in advance for your help, and also, for when it arrives, for what I’m sure is an awesome kit. Remove props, disconnect usb link. Power on tx and set throttle to max. Plug in lipo, lights pulse in sequence. Plug lipo back in, throttle still at max. Wait for beeps, drop throttle to zero, wait for beep. ^ not my vid, but shows the process..
Quit work an hour early and started with the build! Cheers David, just got mine, gutted tho, I’m at work and have to wait 5.5 hrs before I can start assembly. Nice job on the packaging! Hi David and everyone !! Today I received my kit in France!!!! it is beautiful !!! the perfect finish, a beautiful mastery. But it lacks a GoPro Velcro Strap I have not received !! ordered 2 and received one, but it’s a small thing !! I received the V3 kit as well today! Just ordered one today ???? have you ever considered designing a Quadcopter in carbon? For those of you who missed out I have one for sale here: 98% finished with kk board and all the recommended equipment. Mine just landed in Boston! It’s not in the air yet, but here’s how I mounted the Afro Slims on the front booms. The motor wires are pretty short, so two of them were extended to reach the solder pads along the long edge of the ESC. Once nice thing about this arrangement is that all the wires exit on the same end, which is cleaner. Also, you can remove the heat shrink if necessary and replace it without any hassle. Looks great 🙂 I was thinking about placing the afro slim’s on top of the booms for better cooling and crash protection? The motor wires should be able to fit without extension that way? The wires *may* be long enough. The best way to tell is to remove the heat shrink and check the length after you mount the motor. You can get a little bit more length if you desolder the bullet connectors rather than cutting them off. Hi David, I’d love to buy one of your kits but I’m required to build my own design for a school project! You seem to be one of very few places selling square CF 10×10 tubes, and it looks like a necessary upgrade from the extruded stuff. However, I’ve built a rather larger copter than yours which requires lengths of 37cm and 50cm. Any chance there could be longer lengths for people not building your kit to cut down to size, I’d love to get some on my tri?! back again :/ Honestly, I have really tried not to pester you again, but I don’t think I can solve this. The good news is that I’ve finished the build, all the electronics are up and running and it’s looking awesome!! To be more specific, it corkscrews like mad. It flys level, but spins madly out of control one way or the other. I plugged it in without the props and the gyro seems to turn the right way. What PID seetings would you recommend and what rudder settings for the transmitter? Did you manage to fix it? Sounds like the servo is moving the wrong way? Is there a a special reason for not using the spinners for the NTM motors? Do they come off too quickly? Thanks DKD, had one printed and like it very much, well thought out and definitely a step up from no reference at all. I drilled out the holes to take M3. The motor Turnigy Park450 1200kv 18A 175W was removed from the electronic 3S tips, any reason? I bought these one and if you do not recomend anymore I will change. The Park450’s have a large collet on the bottom of the motors which hinders it from being mounted properly on the motor mounts (it scrapes agains the arm) I forgot that I had modified my own park450’s with C-clip shafts a long time ago. Therefore I removed them from the list. They are great motors though. [Turnigy D2836/8 1100KV Brushless Outrunner Motor]? If YES, is there an upside or downside to it? I am asking for your kit for Christmas and I don’t know which motors to ask for. I want something a little higher quality than the NTM motors. Would this be a good choice. Tmotor MT2216 900 kv or the MS2216 900 kv or the Sunnysky 2216 900 kv or something different altogether. I order a TriCopter from David and the other parts from HobbyKing in two orders. One from the European warehouse, the other from the international. Hobbyking did a bold move, and printed the first order. But no send till now, and also they way from Hong Kong to Vienna is a little bit longer then from Sweden to Austria! Christmas came early this year! Just had a visit from the friendly post lady who delivered the RCExplorer Tricopter V3 KIT! All in all, I am very happy with the quality of the kit!